Good Monday, everyone. Our work week is off and running with much warmer temperatures. This warmer air will carry us through much of the week, but showers and thunderstorms are going to try to crash our party. Let us begin with today and roll forward. Highs will be in the mid 70s for many areas as skies stay mostly sunny. I will believe that when I see it, but it’s one of the very few times in the past several years we have seen a drier than normal pattern on the models. You will also notice the much above normal rain in Texas and Oklahoma. The wetter those areas get, the more that’s likely to temper any summer heat that can form. Enjoy your gorgeous Monday and take care. Happy Easter, everyone. It’s a much better weather pattern moving into the region today and that’s going to hang tough through the first half of the new week. This is exactly what the weather doctor ordered after the ugly stuff of the past few days. Clouds slowly decrease from west to east this morning as sunshine takes over. Highs range from near 60 in the east to the low and mid 60s in central Kentucky. The west is best as temps range from 70-75. Temperatures will continue to skew warmer than normal through the rest of April and that likely carries us into May. Have a Happy Easter Sunday and take care. Good Saturday to one and all. The weather since Friday has been just about as ugly as you can get it across our part of the world. After we get through another ugly one today, things turn MUCH better just in time for the Easter Bunny to hop into town. Temperatures will be all over the place today. Areas under the core of the upper low won’t stray too far from 40 degrees. Outside of that, the temps will be several degrees warmer and may even reach the 60s in the west. Good Friday, folks. Easter Weekend is here and it’s starting out on a very ugly note and things look to get a little worse by Saturday. That’s the bad news. The good news is what follows for Easter Sunday, and that’s dry and milder air. It’s going to be interesting to see if some areas can get some wet snow to fall in this setup. Regardless, some good rains will fall as temps stay cold. Highs may not get out of the 40-45 degree range for central and eastern parts of the state on Saturday. Thermometer readings may head close to 80 into early next week as the overall pattern continues to be skewed warmer than normal. Good Thursday, everyone. Our strong storm system is working into the region today, bringing the potential for strong storms, heavy rains and high winds. As this monster of a system slows down, it means some ugly weather will likely be with us into the start of Easter Weekend. Winds will be very gusty today and may reach 30mph or higher at times. Temps range from the low 70s west to the low 80s east. Isolated showers and storms will be possible today, but many areas stay dry. A line of showers and storms will move into western parts of the state this afternoon, then slowly work across the rest of the state tonight. Some of the storms may be strong or severe. In addition to the low end severe threat, heavy rains are likely and could cause local high water issues. A very strong upper low then moves slowly across the region Friday into Saturday. Gusty showers increase on Friday as temps come way down. Winds will also be gusty. 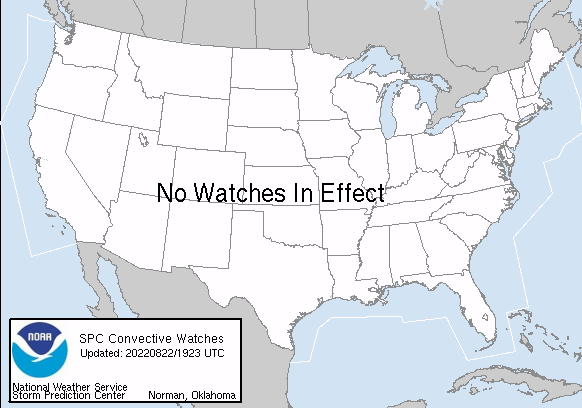 Flakes or no flakes, Saturday is going to be a pretty ugly day for a lot of people. Make it a great day and take care. Good Wednesday, folks. We’re inching closer and closer to the big Easter weekend and the weather is looking great… For now. A slow-moving storm system looks to change all that later in the week into the start of the weekend. Your Wednesday weather looks amazing with highs from 75-80 and a mix of sun and clouds. Southwesterly winds are going to crank as a storm system inches closer to Kentucky. The extent of that severe threat depends on the exact evolution and timing of our cold front from the west. It appears we will have a fair amount of sun into Thursday afternoon, so that may aid in the development of some pretty good storm action. Good Tuesday, folks. We have a great looking weather pattern settling in for the next few days, but a stormy setup is set to follow that up before the week is over. This comes from a slow-moving system that may also impact part of the big Easter Weekend. Let us start with today and move forward. Temps will be much better with afternoon readings ranging from 70-75 under a mostly sunny sky. Chilly winds would be possible under that upper low, but it looks like it gets out of town in time for Easter Sunday. As of now, temps should rebound into the upper 60s to low 70s with skies becoming mostly sunny. This warmer weather would carry us into early next week. Good Monday, everybody. Our big weekend high wind and severe weather maker is now well off to the east, allowing better weather to blow in. This nice weather hangs around for a few days before things turn ugly again later in the week. That ugly may even carry us into Easter Weekend. As always, we begin with today and roll forward. It’s a much cooler day with temps in the 30s to start and low and mid 50s to end. Cloudy skies will slowly give way to a mix of sun and clouds. Have a magnificent Monday and take care. Good Sunday, everyone. It’s a stormy day for much of central and eastern Kentucky as a powerful system works across the Ohio Valley. This will bring a few strong to severe storms to our part of the world. Showers and storms will be around to start the day and a few could be strong or severe. Heavy rains may cause local high water issues. Skies will try to break for a while and allow temps to spike into the 70s across central and eastern Kentucky. That temp spike should allow for additional strong to severe storms to develop, especially across the eastern half of the state. Much colder air sweeps in behind our front as temps hit the 30s overnight. There’s even an outside shot a few Monday morning flurries in the mountains. After a cool Monday, temps turn warm very quickly ahead of the next storm. 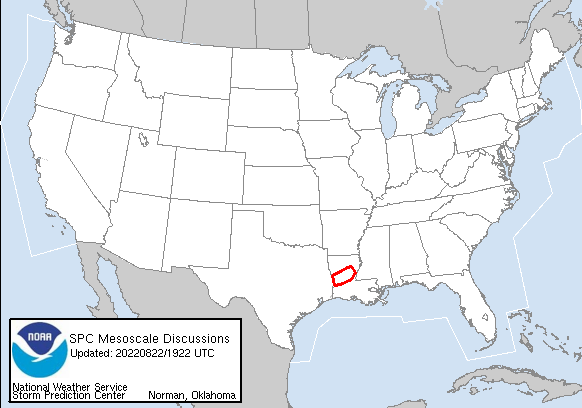 That may bring another severe threat later in the week. Good Saturday to one and all. 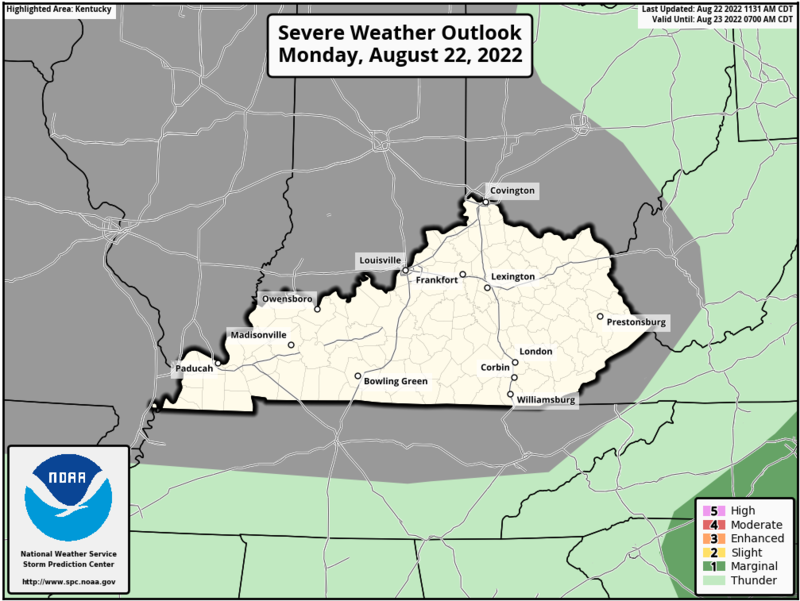 It’s a decent weather day taking shape across the bluegrass state, but severe storms are lurking for later tonight into Sunday. That’s when a potent storm system begins to impact the area. 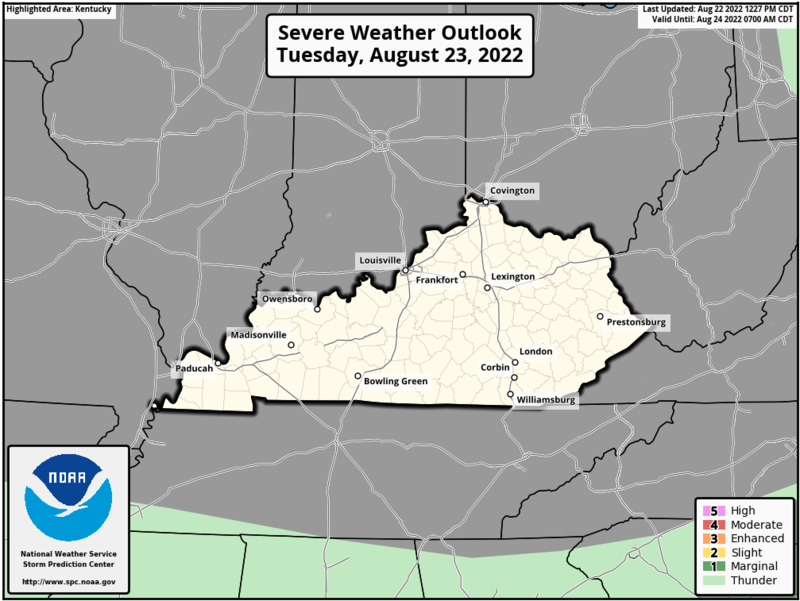 A mix of sun and clouds will be noted across Kentucky with just a scattered shower or storm going up, especially in the south and southeast. Temps range from the mid 60s to the low 70s. 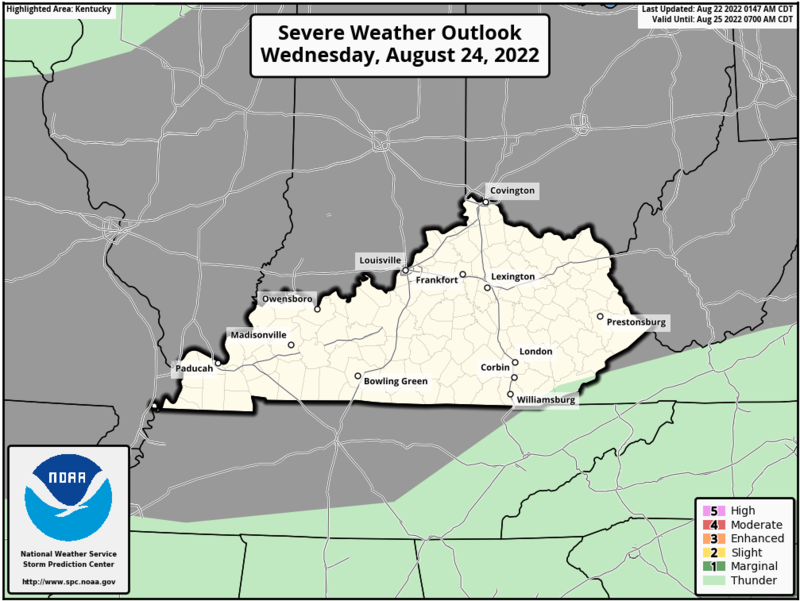 Strong to severe storms move into western and central Kentucky later tonight into very early Sunday morning. That line should weaken as it gets into eastern Kentucky. Damaging winds, large hail and a few tornadoes are all possible. In addition to the severe threat, local flash flooding issues may develop.